Doggydodah is a professional, affordable and reliable pet care company that offers services including; dog walking, puppy visits and pet sitting. The areas we provide our pet services to are; Prestwich, Whitefield, Broughton, Unsworth, Sunnybank, Radcliffe and Crumpsall. We established in 2014 with the aim to provide excellent pet services at an affordable price. Nobody likes the guilty feeling of leaving their dog for long periods at a time. Dogs need a lot of affection, attention and entertainment which they are guaranteed to receive at Doggydodah. Having grown up with dogs and having always had them in our lives we have gained lots experience in caring for these gorgeous animals. We have 2 fur babies of our own who inspired us to create Doggydodah and we truly believe that a home is not a home without a dog. We understand how daunting it is to leave your pet throughout the day and for holidays and know how important it is that you have peace of mind that your fur baby is in the hands and care of people that you can trust. For this reason we insist that you meet us first, get to know us and ask us as many questions as you like to ensure that we are the right walker or sitter for you. We are fully insured with PetPlan and are CRB / DBS checked to give you peace of mind that your pets are in trustworthy and secure hands. 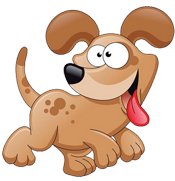 We will cater to your dogs specific needs and you will receive regular pupdates whilst your dog is in our care. Videos and pictures will be uploaded at the end of each day to our Instagram & Facebook page. If you struggle to walk your dog due to work commitments, health issues or perhaps you just want to spoil your pooch then our walking service is what you need. We know all of the best on road routes, off the beaten track trails and parks to take your furry friend to. Come rain or shine we guarantee that your doggy will have an enjoyable experience filled with lots of exercise and attention. An additional £5.00 will be charged for more than one dog. Getting a new puppy is one of the most exciting times in your life. Even with the most understanding boss and flexible working hours, it's not always easy getting home from work at lunchtime to look after a demanding puppy. Our puppy visit service can allow you to relax knowing that your latest edition to the family will be looked after at times you can’t be there for them. 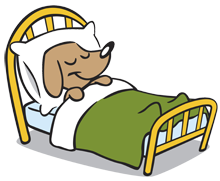 If you would prefer your pooch to stay at home when you are away, we are happy to come in as often as you would like to check on your dog, feed them, replenish water, play with them and walk them. We also open and close the curtains, collect the post and switch lights on and off. This can be a good alternative for dogs who do not like to be away from their home comforts or who do not like to interact with other dogs. Copyright © 2017 Doggydodah. All rights reserved.